In August, 1880, a Post Office was established in Wano, 1.5 miles northeast of present St. Francis at the trading post. During late 1887, while the railroad was being constructed, the first buildings were moved from Wano to St. Francis. The site, a Horse Ranch owned by the Lincoln Land Company, was surveyed in 1887, by A. L. Emerson, a New England sea captain who had run away from home to follow the sea at age 16. He led the movement to the new townsite and named it in honor of his brother, Francis, who had recently been deceased. The Saint was added later, and the Post Office was officially moved in 1888. Cheyenne County has 21,629 acres of walk-in hunting. The museum features a diorama complete with prehistoric fossils uncovered locally. This diorama shows life as it progressed over the millenia on the High Plains, and includes furniture and period exhibits of frontier life. 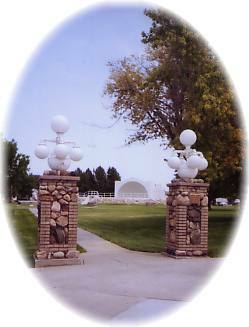 All of the exhibits are of Cheyenne County history. The park offers families a unique opportunity to picnic and observe geese, ducks, and beaver on small ponds.